Bhubaneswar: The Odisha government has so far filed requisition for land measuring 1.17 lakh acres under the land bank scheme in 23 districts. Replying to a written question, Industry Minister Debi Prasad Mishra on Thursday told the state Assembly that Idco, which is mandated to create a land bank for industrial purpose, has so far filed requisition for land measuring 117,655.746 acres in 23 districts. Accordingly, out of the total area, 17,121.822 acres has been prioritized as Category-A and 71,173.099 acres as Category-B, said the minister. 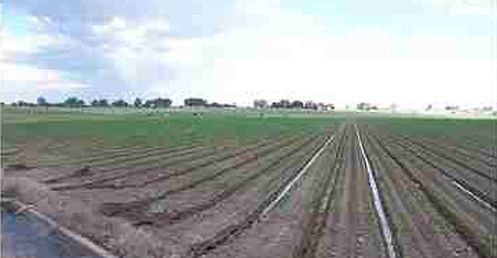 Two categories of land have been created for the land bank. Under Category-A, the land would be leased out to Idco by the district collectors for the immediate requirement for industrial purposes. Under Category-B, the collectors would reserve land with them for subsequent allotment to Idco for setting up industries, hospitals, and educational institutions. Idco, the nodal agency for land acquisition in Odisha, has identified over 2 lakh acres for the creation of the land bank. It has identified compact patches and land suitable for setting up industries without any hassle. Earlier, IDCO asked the district collectors that the unobjectionable government land, unsurveyed government land, degraded wasteland in contiguous patches should be identified for creation of such land bank.